These were our speakers and presentations at the 2015 conference. Jo Myers brings a realistic, practical and humorous approach to the conversation on conscious living and dying. Through her own end-of-life experiences with family and friends, and the unresolved issues that can rise, she saw that many difficulties could be prevented if we were taught some simple tools and did our “inner homework” before we or someone we love is dying. Jo will lead us into our conversation both lightly and powerfully, asking us to be courageous in leaving a legacy, not a mess. Jo Myers is a well-known media presence and speaker with a 25-year radio career in Denver as well as other major markets. Jo’s grandfather was an undertaker and she developed an early fascination with cemeteries. When her children were old enough, she taught them subtraction by determining ages on tombstones. Through various deeply personal experiences, Jo found herself compelled to champion the importance of preparing for departure. With humor and compassion she compiled her own guide to preparing for the end of life in her book, Good To Go. Jo resides in Denver, Colorado with her husband, two sons and a dog. Kitty Edwards:"Death as a Rite of Passage"
The journey to death in our society is often a lonely one. Those who are dying, as well as their families, may have no map to follow and not know how to share the experience with each other in a meaningful way. When the dying and their support team discover ways to effectively participate in and witness the final transition, it becomes a healing celebration of death as a rite of passage—and offers a greater sense of each one’s journey yet to come. In this conversation with conscious dying pioneer, Kitty Edwards, we will learn intentional preparation for death on three levels: literal, mythical and energetic. Literal preparation is the level most of us are familiar with—the will, medical durable power of attorney, etc. The mythical and the energetic, however, are where the powerful work of conscious dying becomes truly transformative. You will come away feeling more confident and prepared to be part of the “deathing” process, whether it’s your own or another’s. We will also participate in a beautiful guided meditation to deepen our experience. Our keynote speaker, Kitty Edwards, helps individuals on their journey to death to find the courage to release their fears. She is the executive director of The Living and Dying Consciously Project, a non-profit organization that is building a community of teachers who focus on the dying process, death and grief. She is a published author, speaker and master teacher. Her workshops include Dying Consciously: The Greatest Journey which helps people be awake, aware, and accept the process of dying. She also teaches the No Regrets:Behind the Mask, Gifts of Grief and Living with Dying. She is the co-founder of the No Regrets Project and member of the faculty of Indigenous Alchemy. She serves on the Board of Directors of Conversation on Death in Boulder County. 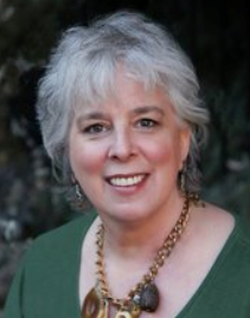 Kitty is a shamanic practitioner who has trained in Southeast Asia, North and South America. She resides in Boulder, Colorado. Maggie Honton is a poet, editor, and Reiki teaching master. Born, raised, and married in Grand Rapids, Michigan, she reared a large family and earned two degrees from Ohio State University. Maggie experienced an NDE in a car crash 25 years ago. It has informed her life since. She now lives in Pueblo, Colorado. Anya F. Graber, M.A., earned degrees from Peabody College and Vanderbilt University and studied art in Ljubljana, Slovenia. She is a former minister, part time yoga instructor, occasional farm worker, lecturer in Continuing Education and full-time writer. 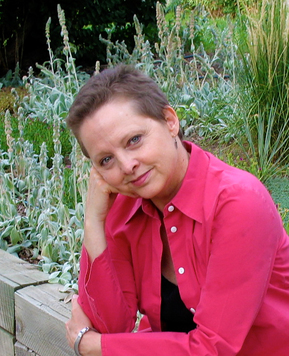 She has authored several books including Deathing: An Intelligent Alternative for the Final Moments of Life. She narrated a video, Deathing: An Introduction to Conscious Dying by Hartley Films. Anya has lived in Europe, Mexico and India, and currently lives in Western Kansas. Anya describes herself as “a graduate of two NDE's," from which she gained a deep sense of "Cosmic Consciousness." Caroline Luellen, Pueblo, CO, is the proud mother of four daughters and various grandchildren. With her degree in counseling, Caroline discovered a calling working with emotionally disturbed teenage girls. She also spent the greater part of ten years for traveling the Western states, living in a RV and doing what she loves best—cycling and hiking. In her early forties, during a time of deep sadness, Caroline attempted suicide. It was at this time that she experienced an NDE that “changed my life completely.” Caroline comes to our panel holding the recent death of her daughter, Diana. Through a series of precipitous events, Caroline feels guided to be on the panel. Staci French experienced an NDE when she was 13-years-old in an auto accident and only later was she able to understand what it was. All her life she has been intuitive and receptive to messages “from the other side,” which now informs her intuitive coaching work. Prior to this, Staci spent 20 years working in the electric utility business in the NW. She is the mother of three children ages 4 to 20-years-of-age and lives in Colorado Springs, CO.
David Cockrell -"The Stone Woman Gives Birth in the Night"
All things cycle through an arising, a fullness, and a falling away. Each phase of the cycle offers us a grace and beauty to be savored. Each of us is the momentary coming together of the entire evolutionary history of the planet, and upon dissolution our energies are dispersed and reintegrated into our loved ones, our communities, the lives and places we touched. Each moment something in us is born and something dies. The birthing process is energizing—it brings new realizations, new directions, new identities. But the dying process is freeing: It mercifully releases us from our own expectations, mandates, and bucket lists. Dying gives us an unusual opportunity to awaken. So why is it that death seems so final and inspires so much fear? David Cockrell has been a Zen student of Joan Sutherland, Roshi for 15 years and is the meditation instructor for the Wet Mountain Sangha, a Zen Buddhist community in Pueblo, Colorado. 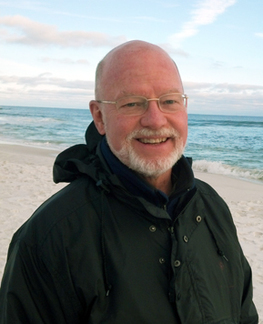 He holds a Ph.D. in Natural Resource Management from the University of Idaho and held professorships at Virginia Tech, the University of North Carolina and Colorado State University—Pueblo. Following a second career in urban planning he returned to higher education as Dean of Business and Technology at Pueblo Community College and then as Associate Vice President of Instruction at Otero Junior College, La Junta, Colorado. His current work focuses on sharing the Buddhist dharma and environmental activism. He brings a passion for life, a commitment to staying awake and aware through the entire journey of living and dying—and a great love and appreciation for the land of Southern Colorado and how it informs his practice. 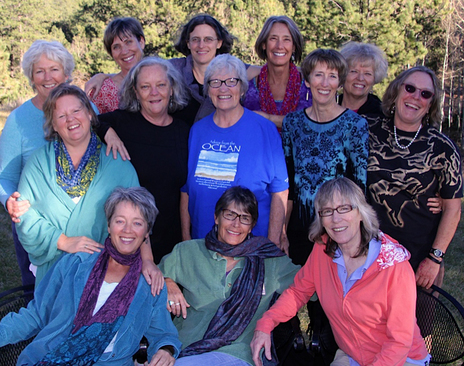 Pikes Peak Threshold Singers, a chapter of Threshold Choir since 2010, is located in Colorado Springs, Colorado, and is presently a group of fourteen women who bring the comfort of a cappella song to those at the thresholds of life. Their songs are selected to bring serenity and comfort to people who are ill or dying, whatever their personal spiritual path. They typically offer their singing in trios at bedsides--which they do twice weekly at Pikes Peak Hospice and Palliative Care. They also sing as a larger group in the course of honoring and celebrating life, including memorial services, community benefits and concerts, Threshold Choir gatherings, song circles, and a variety of events--wherever it seems a song will serve the moment. Pikes Peak Threshold Singers will offer us their singing, as well as teach us to sing with them in heart-centered song. 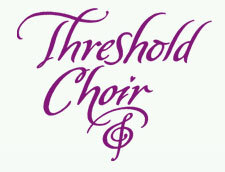 To learn more about Threshold Choir, visit www.thresholdchoir.org. For more information on the Pikes Peak chapter, visit www.thresholdchoir.org/PikesPeak. ​Buy a CD from the Threshold Choir here: "Walking Each Other Home"